Have you ever wondered why some innovation teams fail while the others succeed? Why some incredibly creative people with thousands of ideas have difficulties finishing a single project? It’s because innovation requires both teamwork and different creative profiles. 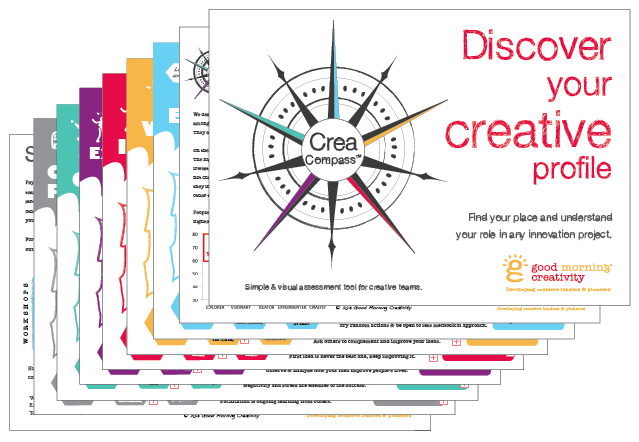 You can take the first step and assess your creativity with CreaCompass – a cognitive assessment tool inspired by years of research conducted by American specialists on creativity. 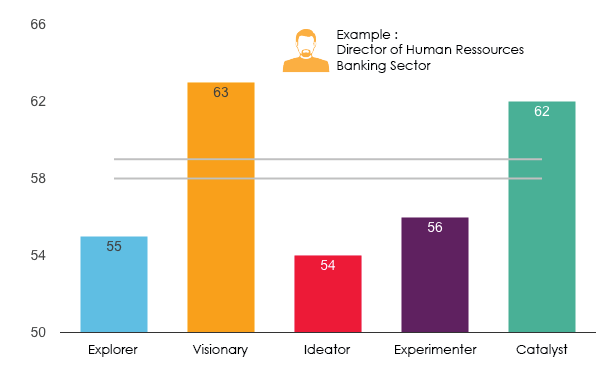 This test reveals your personal preferences among five creative profiles and provides you with guidance on how to leverage the diversity in the innovation team. Once you understand your creative profile, you can develop further your skills in our learning seminars, workshops and mentoring programs. CreaCompass Assessment report includes your graph results and in depth analysis of all the creative profiles on 8 pages in order to help you understand your hidden talents. You will learn what are the main traits and skills of each profile and how to develop them further. You will discover what behaviors help and as well irritate other creative types and in what ways you could collaborate better. Take the test right now and see which creative profile suits you best! You might be surprised by the results revealed. Disclaimer: this test is provided for educational use only. It is not clinically administered and should be treated as useful information that may give additional insight into one’s personality. Please use it accordingly and with this information in mind. Good Morning Creativity assumes no responsibility for any errors or damages arising. 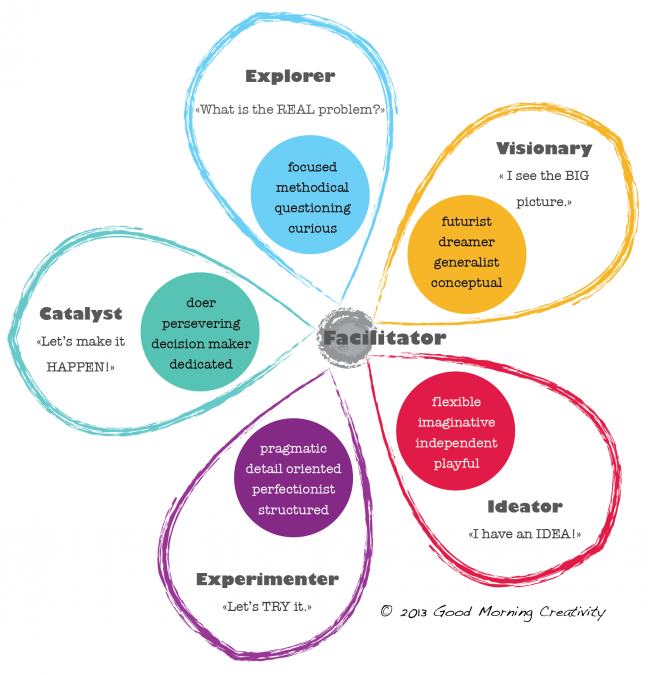 Interested to assess creativity of your entire team?